built between 1911 and 1912 in Gaspra, above the Cliff Aurora. This castle is constructed in a medieval style by A. Sherwood. It has very beautiful view towards Black Sea and is located near the ruins of an ancient Roman fortress. 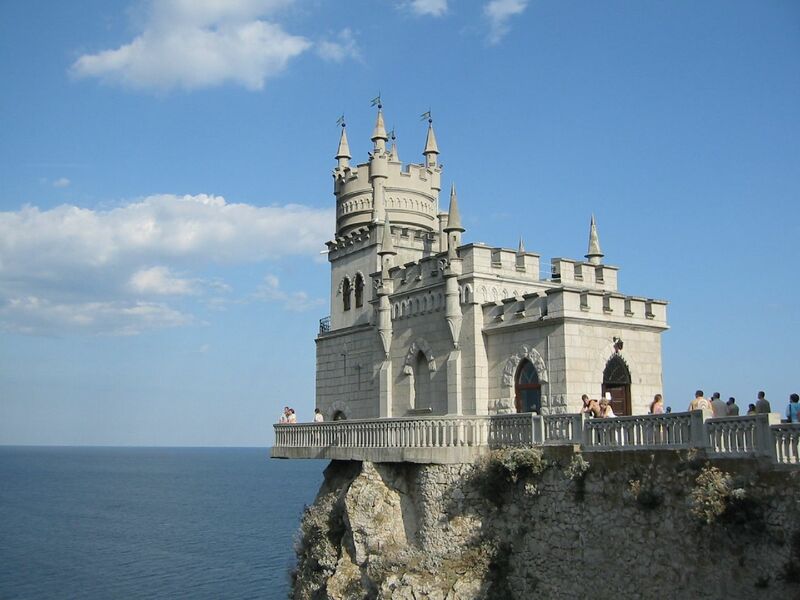 Swallow's Nest is about 20 meters long and 10 meters wide, has become an icon for tourist visitors to the Crimean peninsula. Its history is a long journey of sentimental adventures, beginning in 1895. A Russian general decided to build in this cliff a small wooden house, from where he can see both sunsets and sunrise and he called this castle as "The Castle of Love". It is an architectural symbol of the Crimean war. It seems that rises above the depths of the sea. The Castle of the swallow nest is located 15 km to the west of Yalta. In 1914 it was sold and the building was used as a restaurant. Despite the apparent fragility and instability, this building survived earthquake of 6.7 magnitude in 1927. 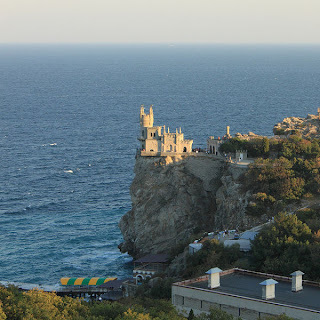 Swallow's Nest has become a prestigious Italian restaurant that has operated till 1975.Now it has become one of the most popular tourists place in Ukraine. Many films are shoot around The nest of swallows.